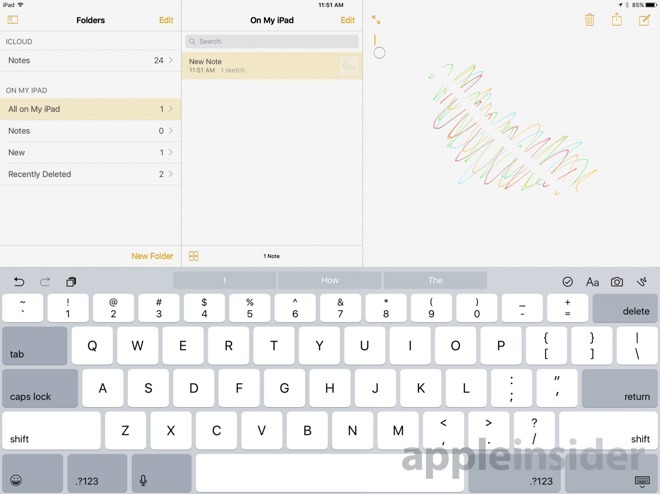 Owners of the 12.9-inch iPad Pro can take better advantage of their screen space in iOS 10, thanks to new versions of Apple's Mail and Notes apps that include three panes in landscape mode instead of the two present on other iPads. In Mail, the 12.9-inch Pro will show top-level mailboxes, their contents, and selected message bodies all at the same time. 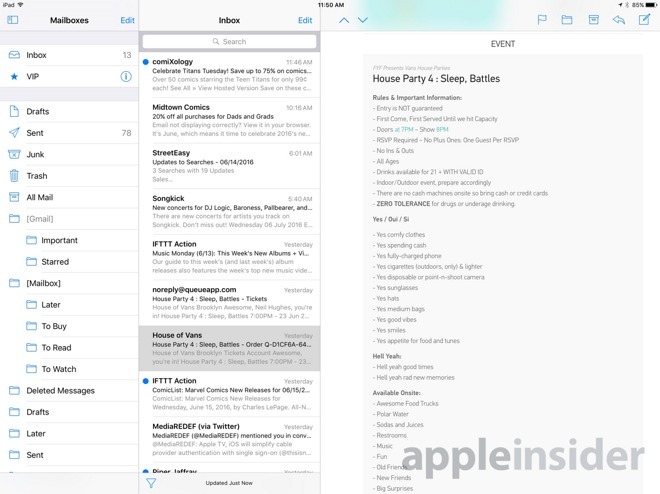 On smaller iPads, users can see either the top-level view or mailbox contents, but not both. Likewise, Notes can now display folders, item lists, and note contents simultaneously on the largest Pro, whereas other iPads can only offer one of the first two alongside note content.